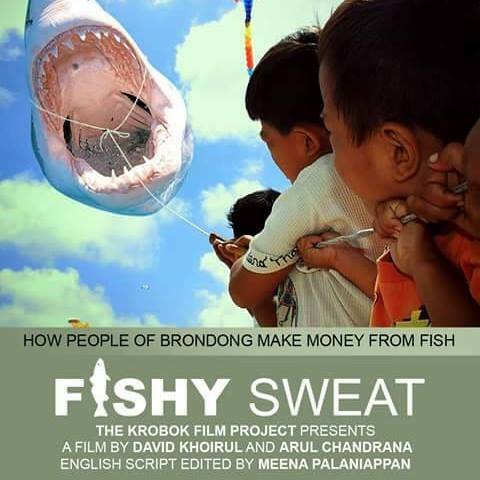 Fishy Sweat, my first short documentary movie, will be released in a week. This post will tell you how I do the voice over from my bedroom with portable booth. The process is really quick. After I typed and printed the narration, I put the script inside the vocal booth–a box with acoustic foam–along with the torch from my power bank. As the microphone was connected to the laptop, I started to record, and it took only 10 or 15 minutes. The editing, however, which I did on Audacity, took about 30 minutes, including cleaning and equalizing. Although the movie is narrated in bahasa Indonesia and is made for Indonesian audience, I add English subtitles, with myself being the translator–thanks to Meena Palaniappan, CEO of AtmaGo.com, for her help in revising the English script. I’ll keep updating the page as we approach the release day of the movie. So keep coming to this blog.